Perfect for a dinner party – or for anyone who loves escape room dramas! 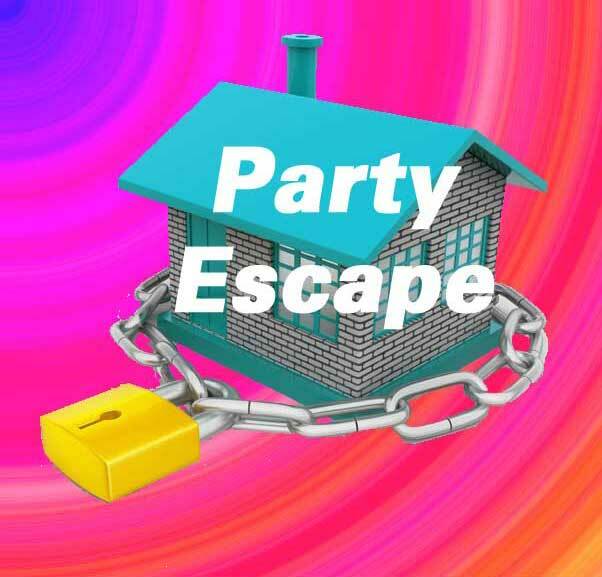 Is your worst nightmare being at a party that you want to escape, but can’t? Hopefully this won’t happen at this party if you are clever and a little lucky. If you’re game, come along and enjoy the challenge. NOTE: All the character names in this kit are unisex so it can also be used for an “all girl” or “all boy” party. This is a new kit so we are yet to receive feedback on it. Note: The reading levels of each kit (not just “page” as it says below) were determined by copying and pasting the kit into The Readability Test Tool (see www.read-able.com). Reading level 6 – so suitable for 11 to 12 year olds upwards. I am famous for my bizarre song lyrics, wild stage antics and the spontaneous and sometimes outrageous street performances I often hold. My mother still calls me Tanner, but no one else does. And it’s not worth having a last name if it’s as boring as Brown. My nickname reflects my obsession with starting businesses that make money from people’s small change – but lots of it. My legal name is Harper Harris. My entrepreneurial empire is the business equivalent of penny stocks. Although I sometimes commit people to a psych ward, most of my clients are part of the elite and don’t require that sort of treatment. Or they manage to avoid it. It’s stressful dealing with multi-millions and all the decisions and baggage that come along with it. I’ve always been told I have the gift of the gab, hence my nickname. Believe me – you need it as a social column writer. I know everyone here, but even so, I certainly didn’t expect this. My real name is Kerry Chappell. I’m an artist. My specialty is doing customized murals on doors – large and small. I love creating a surprise for my client – generally on the inside of cabinet doors or on the narrow edge of full sized doors. I’m hoping this party will help me get some new clients. My business name is the only name I go by these days although my real name is Terry Door. Everyone calls me Sol because in my early days I was known for my work with solvents. I’m an industrial chemist by trade, although now I’m more of a business owner. I have plants in a number of countries. My formal name is Spencer Wilds. Back in the days when I was a barrister, I was given this nickname because I was often able to find legal loopholes to help my clients out of their dilemmas. But nowadays I’m a politician – on the right side of the equation – of course. I campaign under my real name, which is Whitney Moore. All my gaming buddies call me this; because they say I keep changing my personality to suit whatever character I’m currently playing in whatever game is hot. My real name is Bailey Jones. I don’t know why I’ve been invited. You guys are all ancient compared to me. I’m still at high school. Maybe it’s another joke my gaming buddies are playing on me. Had problems finding the solution to the mixed up word. Maybe include the titles and passages from the book(s) as links or a pdf.